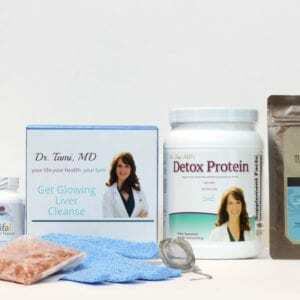 Created and tested by a double board certified MD, the FaB Cleanse is designed to increase your energy and to help you achieve weight and “waist” loss in just 2 weeks! 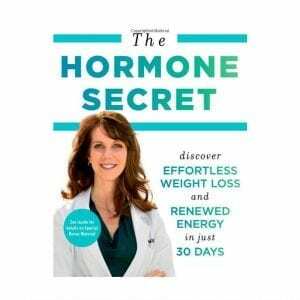 When taken together, these formulas work in concert to support you on your journey to optimal health and fabulous-ness while eliminating weight and toxins. You will receive an easy-to-follow FaB Cleanse Guide & Recipe Book that includes delicious shakes and meal recipes, food lists, tips and much more. This is a cleanse full of abundance…. get ready to start feeling fabulous again! FaB Probiotoc – is a vegetarian, dairy – and gluten-free, probiotic totaling 30 billion CFU† per capsule. Each vegetarian capsule is sealed in nitrogen-purged aluminum blister packs to serve as protection from factors proven to compromise the stability of probiotics such as heat, moisture, and oxygen. Fab Probiotic provides research strains of beneficial bacteria. These live microorganisms have proven health benefits and well-established safety, and have been tested for epithelial cell adhesion and/or resistance to low pH. FaB Cleanse Protein is a comprehensive, fructose-free, low-allergy–potential dietary supplement designed to support gastrointestinal (GI) function and balanced detoxification. It features VegaPro™, a proprietaryamino acid and pea/rice protein blend; Aminogen®, to facilitate protein absorption; phytonutrients; mineral amino acid chelates; and activated B vitamins, including Quatrefolic®† and methylcobalamin This formula is suitable for vegans. 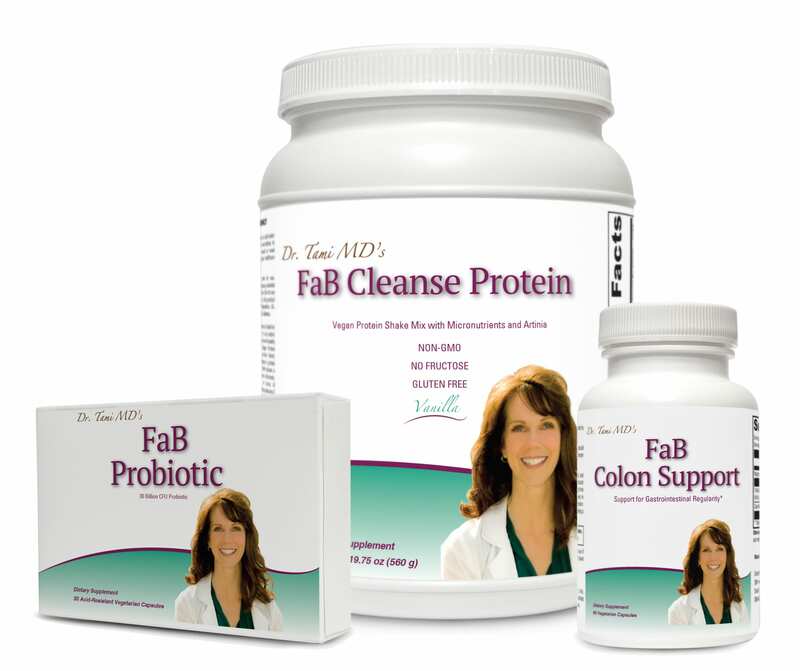 FaB Colon Support is designed to support gastrointestinal (GI) regularity and help ensure removal of toxins from the body. Magnesium citrate is present to support muscle relaxation and bowel elimination. Cape Aloe is added to support normal GI transit time and stool bulk. Triphala, a balanced blend of berries used extensively in Ayurvedic medicine, is present to support all phases of digestion, assimilation, cravings and elimination.